Prince of Peace Celebrates Advent at our School Liturgy on December 11th – Dress Purple! The Prince of Peace community will celebrate Advent with Father Paul Hancko on Tuesday, December 11th in the school gym, at 10:15 a.m. Families are welcome to join us to celebrate this joyous time in the Church Calendar as we prepare to welcome the Prince of Peace anew! Students are encouraged to wear purple (Spirit wear or any purple they have) to mark ... Continue reading "Prince of Peace Celebrates Advent at our School Liturgy on December 11th – Dress Purple!" 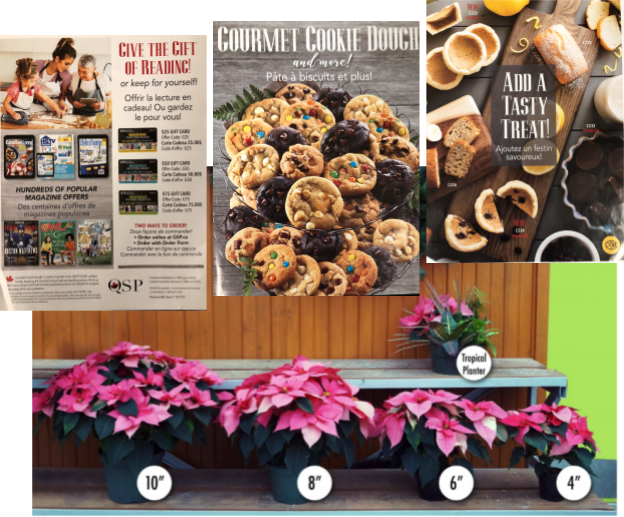 A reminder from the Prince of Peace Catholic School Council to please pick up your orders for cookie dough or poinsettias on Thursday, December 6th, from 3:00 pm to 7:00 pm at the school’s gym. Thank you again for your support!